some fabulous looking builds so far. I have made a start on mine just haven't got round to post anything pictures. 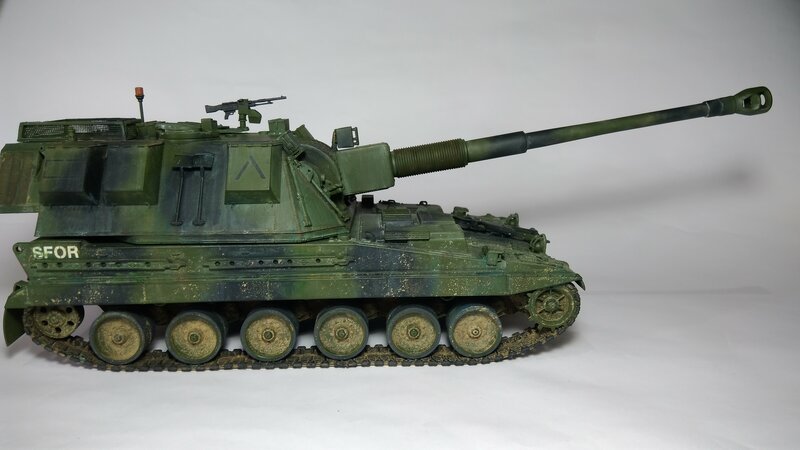 im wondering does anyone make 1/72 t55 tracks or something similar that can be used on a t55. 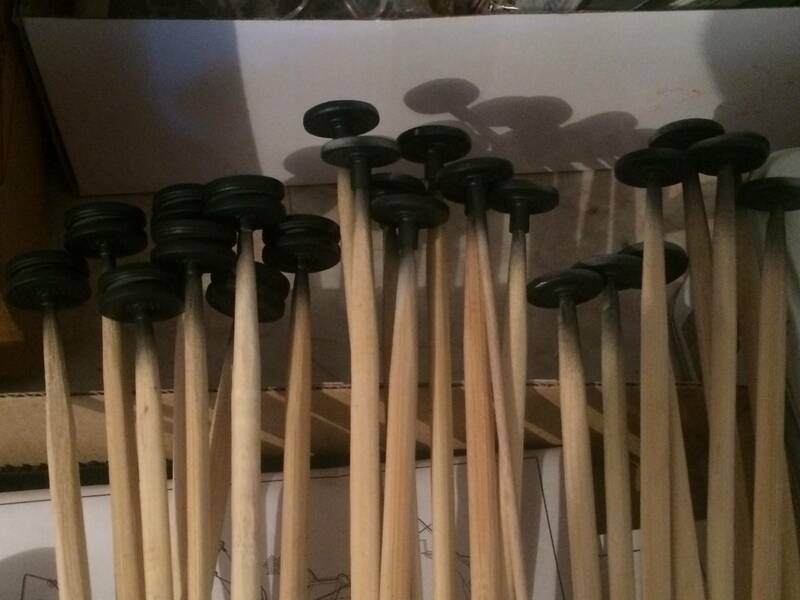 from the pic I want to create some road wheels rubber has melted in fire but some hasn't so look to create the sag. though the trumpy kit comes with vynl tracks any ideas? A little late to the party, but I'm in with Trumpy's RF-8 Aerosan. 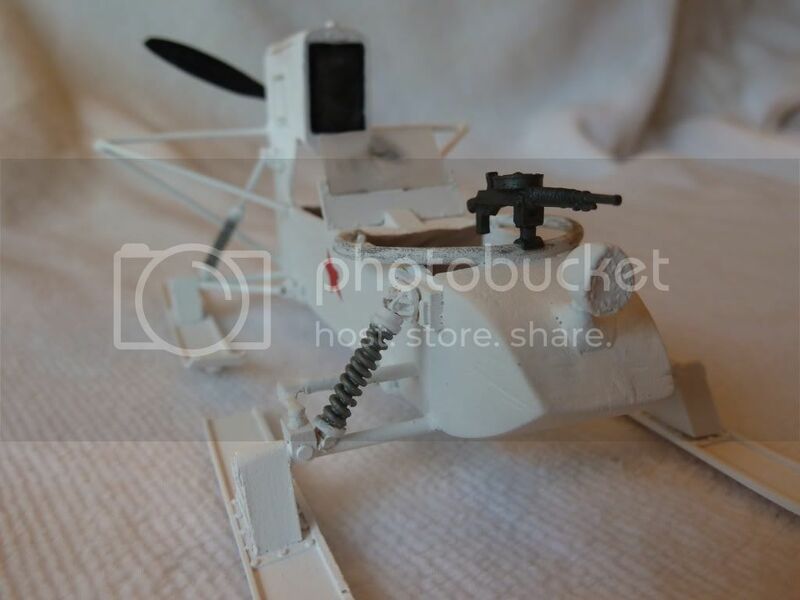 About 8 years ago, I went through a major Soviet phase and had to build an aerosan. Unfortunately, the only offering was Kirin's resin kit...a turd of a kit if ever there was one. 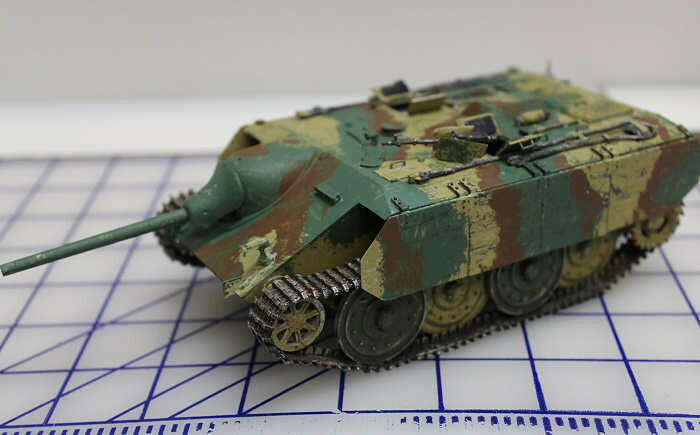 Instructions were unintelligible at best, incorrect at worst; pieces were poorly molded; the kit fit together like a mashup from the spares box. In spite of that, I managed to get a pretty good result. End of the nearly-decade-old rant When I finally saw Trumpeter released a mass-produced styrene aerosan, I jumped for the kit, and here I am now. Kit looks good overall, minimal flash, pin marks will (mostly) be well hidden, engine detail is okay, and the seated crew members are very appreciated. 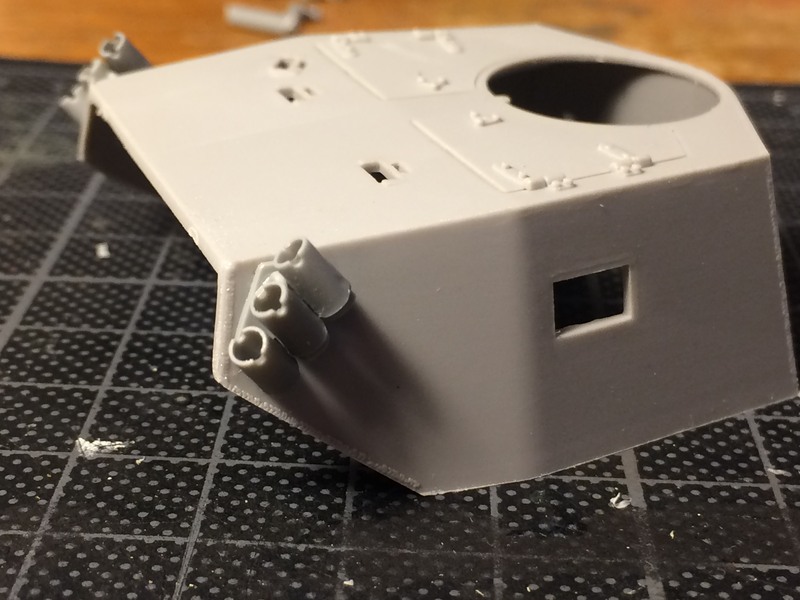 There are some historical inaccuracies -- namely, the engine isn't the precise model used on most aerosans, and the rivets should be flush with the body -- but I'm going to build this more as a test of craftsmanship rather than my usual rivet-counter tendencies at the expense of good modeling technique. Back to the build...finally. Engine is coming together nicely, and yesterday I focused on the body. Aerosans were mostly plywood, so I wanted to try out a wood grain technique with oils. Worst case scenario, it looks bad and it just gets covered over with white. Best case, I'll lay the white down very lightly and maybe some of the grain can show through as if the paint got severely worn down. I messed around with the thickness/darkness of the oil layers. Outer surfaces turned out lighter, inners were darker. Figured that an unpainted interior should make for good contrast with the otherwise all-white exterior. 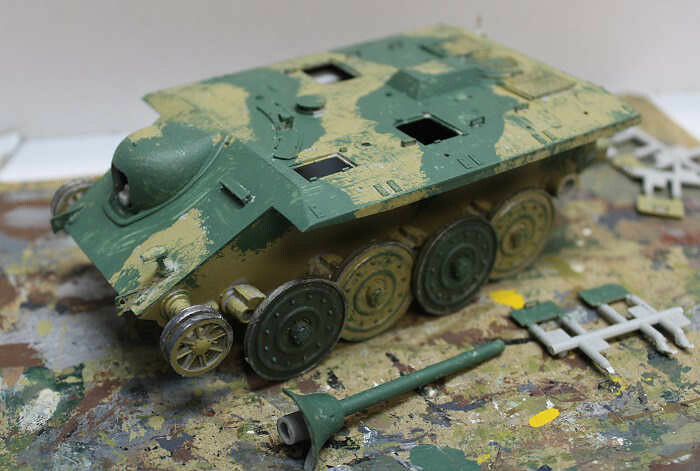 A bit more progress to report on the VK1003H. Build is kinds complete. I played down Vallejo German grey primer then added progressively lighter german grey regular. Am going for a high contrast look. 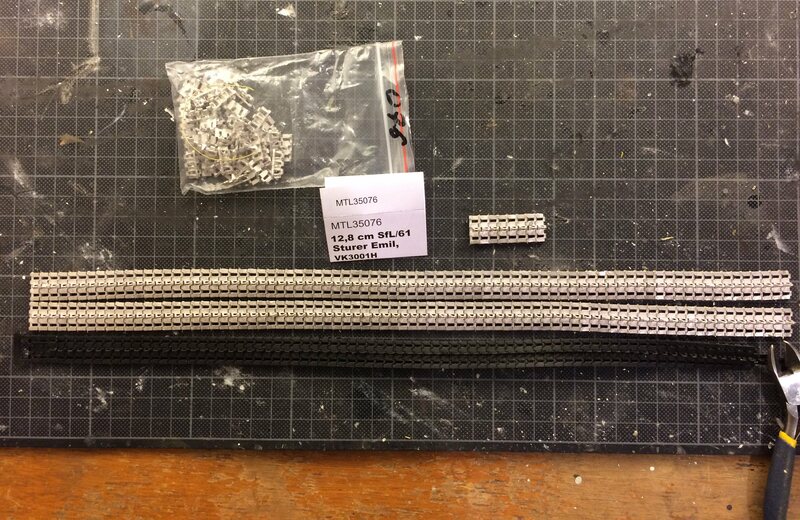 Impressive number of parts in this kit. A little detail can be composed in four parts, a bit exaggerated in my mind. 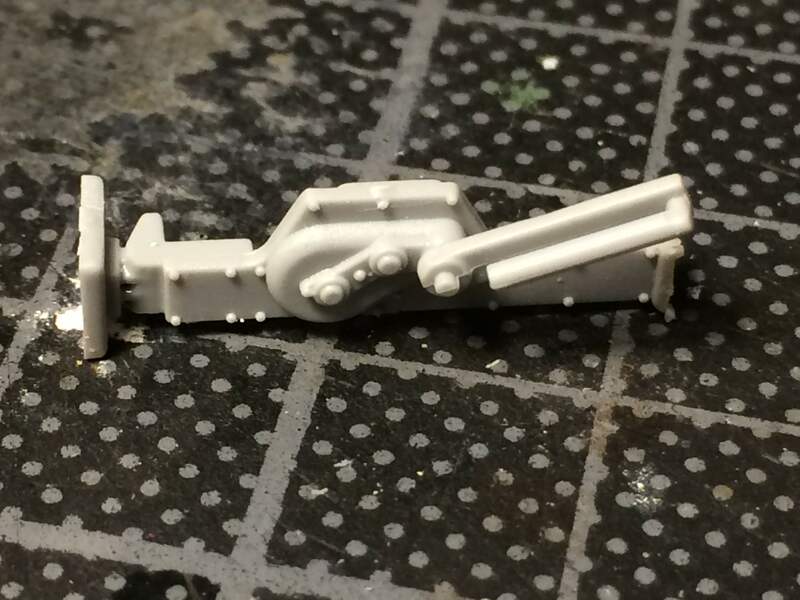 I've made a little modification on front axle to have turned wheels. 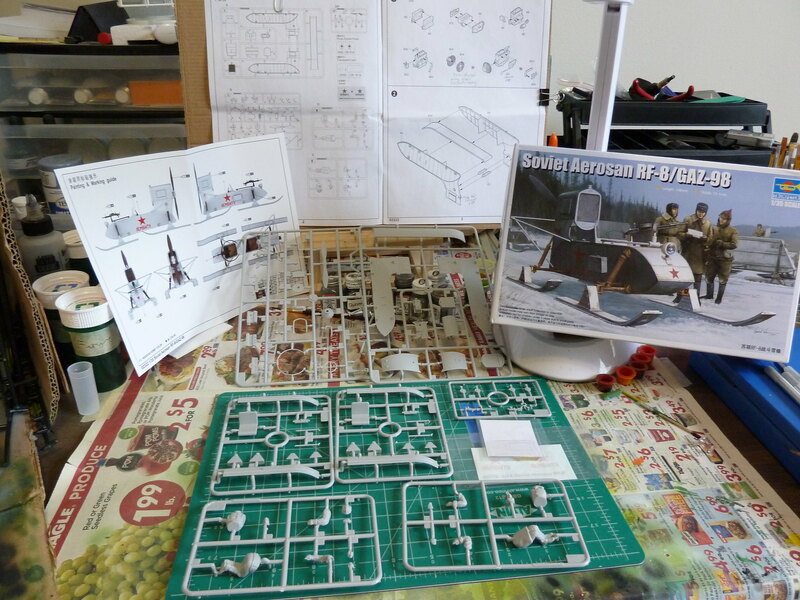 Hi everyone I am starting on Trumpeter's RA-5C Vigilante. Thanks. I was going for a rough look. The green and red-brown were applied using the cheapest brushes I could find. I paid $1 for a pack of 20 of them. I usually use them for applying glue to dioramas...stuff like that. They also work well for crude painting like with the E-10. I also use them for white camo for WW2 vehicles. Often, those were applied using rags, brooms, and branches. 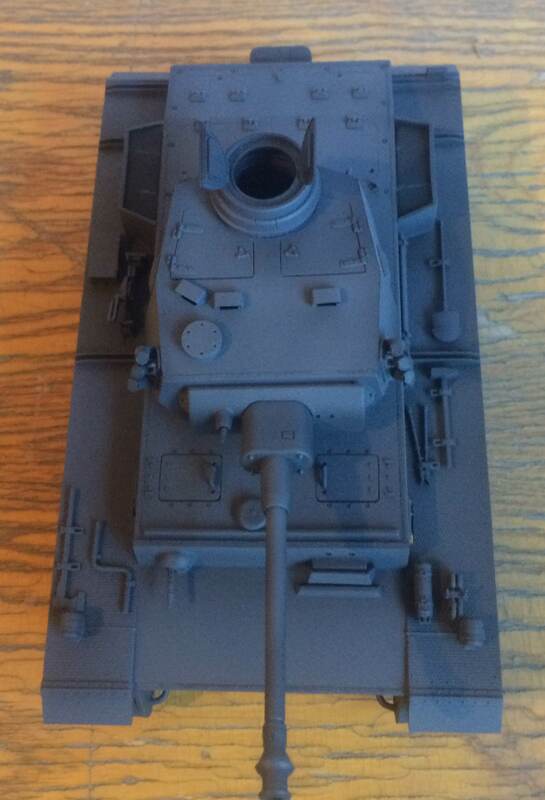 I actually have a M4a3 Sherman that will be white-washed for the Workhorse Campaign. Anyway, I took a couple extra pics of the E-10 and loaded them to the campaign gallery. And nice work guys. There's some nice work in this thread. 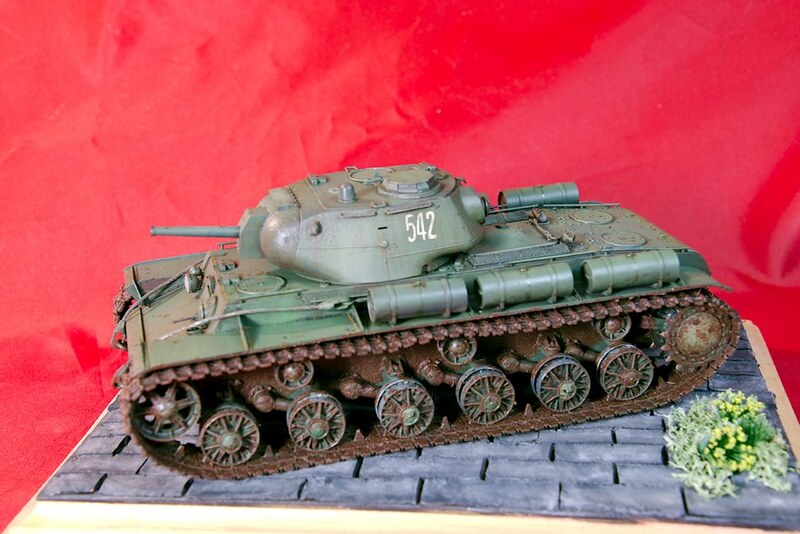 I finished my Soviet KV-8S Heavy Tank from Trumpeter. Really liked how easy this one was to put together with hardly any fit issues. The decals sucked, they refuse to release from their backing. First time I had to soak decals for five minutes. Anyway here are a few photos that will be posted in the gallery. Nice finish with the E-10. Thanks for the idea on the injector pin marks. The camo is wonderful and like how the colors are mixed up and worn in places. It's been a bit since I posted any build updates. 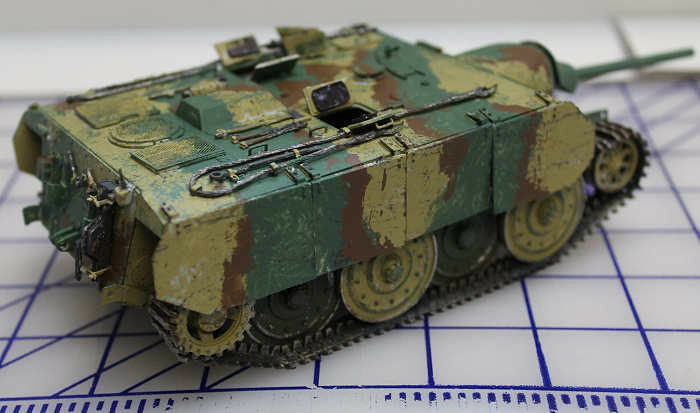 As a refresher, I'm building Trumpeter's E-10. 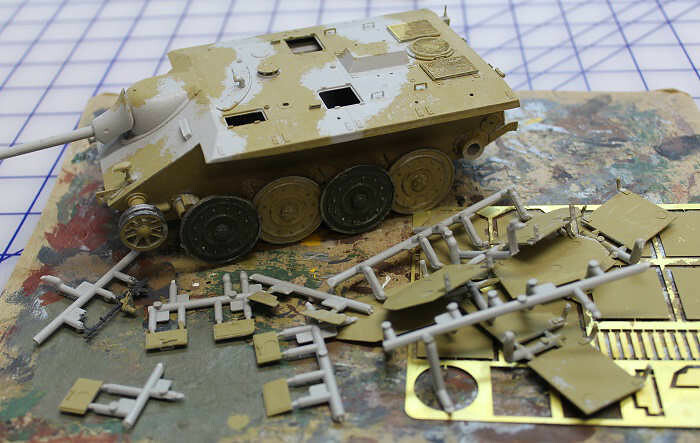 We jump back in with starting on the paint and deciding on those side skirts. The kit comes with plastic as well as PE side skirts. 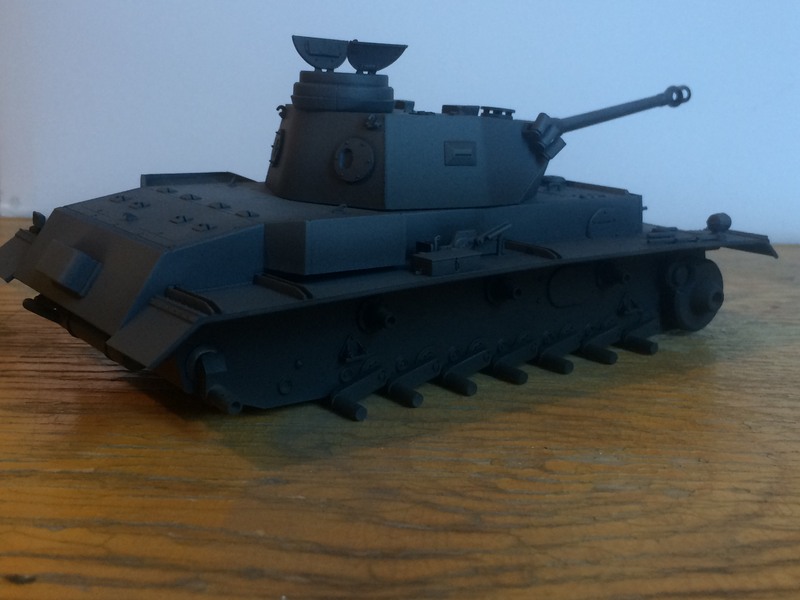 I decided to do something different and hand-paint to E10. 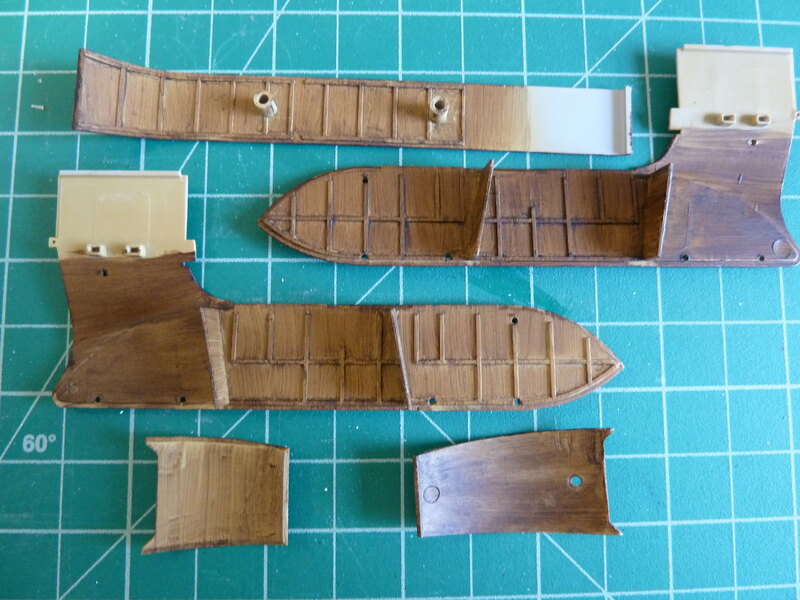 I actually began pre-painting the hatches, and side skirts (both styrene and PE). And I decided to go ahead and start on the rest of the tank. The light gray and dark yellow actually look pretty good. I might use that with some of my What-If Privateer camo schemes. By the way, the hatches have horrible ejector marks. I decided to use some styrene to make some pads to cover them. Simple and less frustrating fix than filling and trying to sand around the kit's handle detail. Added the secondary color...olive green. Again, I dabbed it on with a brush and sponge. I had only planned on a two-color scheme but ...well you'll see. Time for the tracks. This release comes with early and late tracks and drive sprockets. Both era of tracks are offered in rubberband and indie links...you get four sets of tracks. So find a friend that bought the initial release and give them your extra set of indie links. To be fair, the rubberband links probably would work well with the side skirts on. The tracks went together well. I fit the sections on the kit to let the cement set up, then removed them for paint. I painted the tracks with Rustoleum dark gray auto primer. What I like is it has a grainy texture and gives the tracks a texture that works well with dry-brushing and pigments. 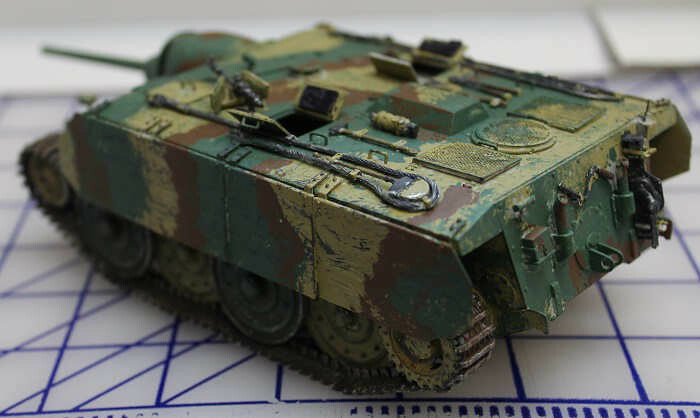 Once the tracks dried, I heavily drybrushed them with red-brown. 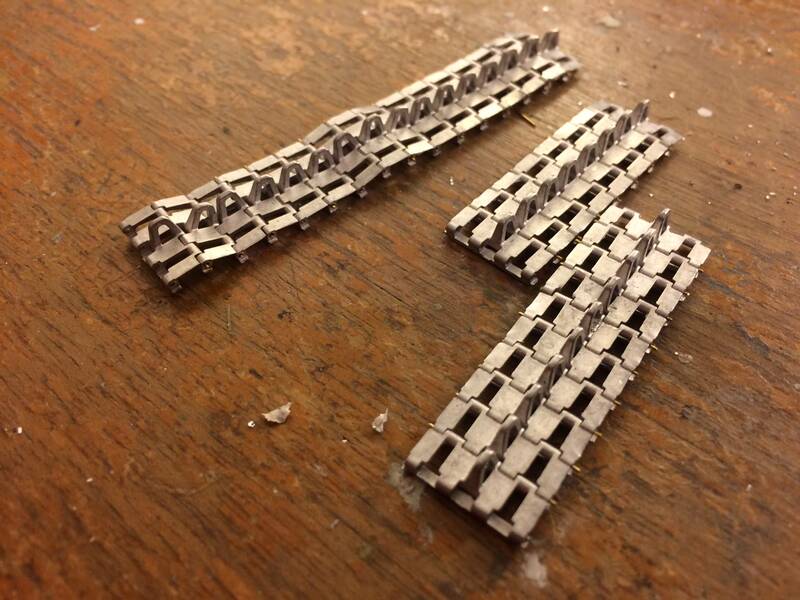 I then drybrushed them with steel. A dabble of dust pigments helped blend the tracks together. Finished up the odd bits like pioneer tools, tow cables, etc. I decided to give the plastic side skirts a go and they ended up looking pretty good so I'll keep them for now. I painted the outward surfaces of the skirts. I added the olive green. On a whim I decided to add a third color...red-brown. I like the rough look of the camo. The kit comes with a generic decal sheet. The paint schemes do not use any markings. I decided to forego and markings. And with that I am calling this one done. It wasn't a tough build and it looks nice up on the shelf. I'd recommend it. The gun is loose and flops around. 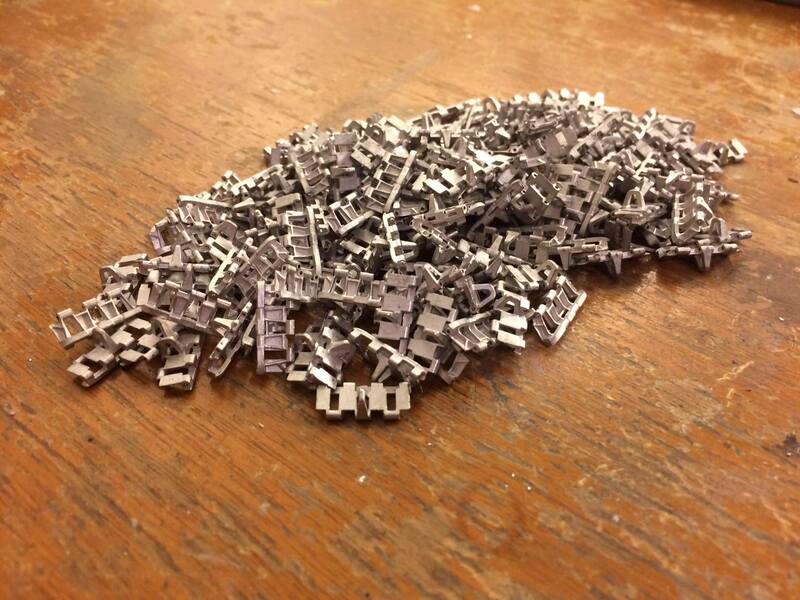 Some of the parts require a bit of extra clean-up. 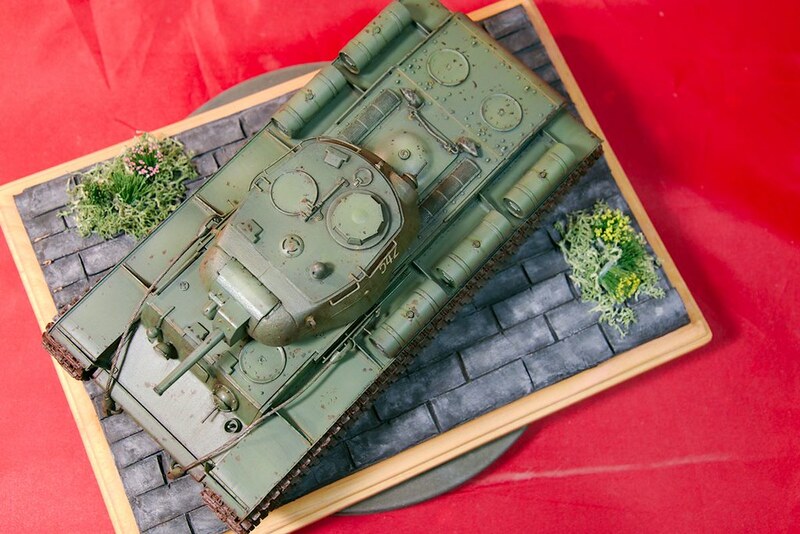 Overall, it's as good as their E-25. 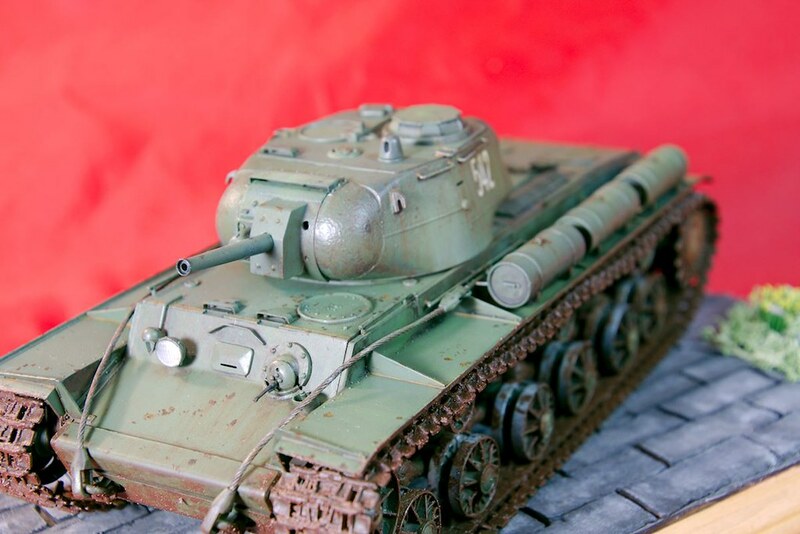 And, the E-10 does come with a gunner's sight...Trumpy left that detail out of the E-25 kit. Thanks. 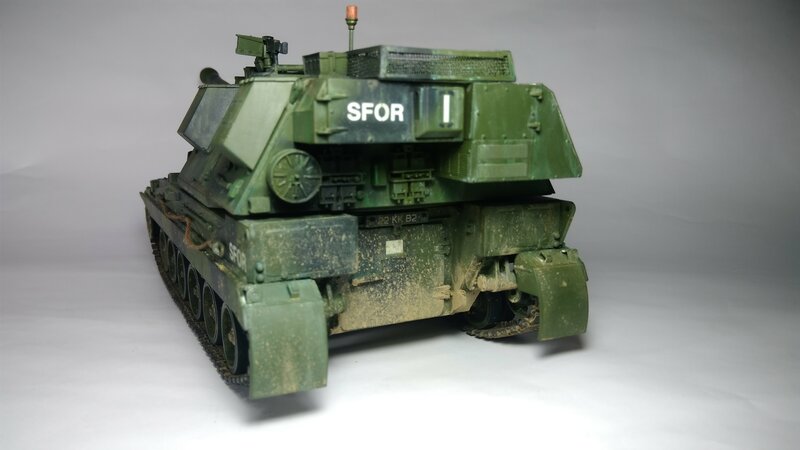 I am modeling this Stryker after one of the vehicles in my platoon from years ago, so I'm detailing it from memory. 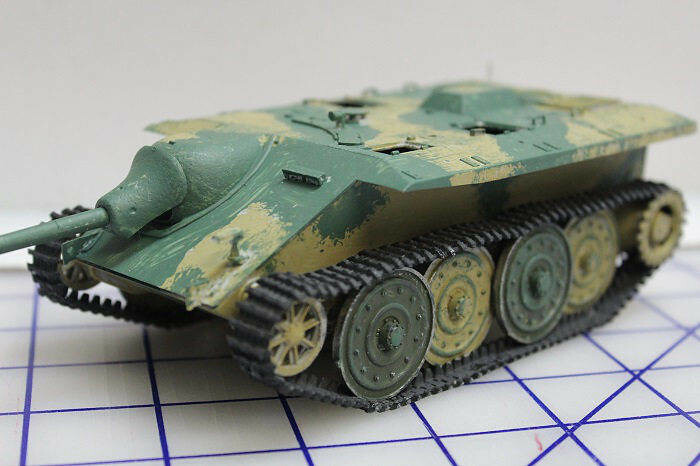 Great progress on that VK3001H. I almost always swap out the pioneer toold on Trumpy kits with leftover Dragon tools. 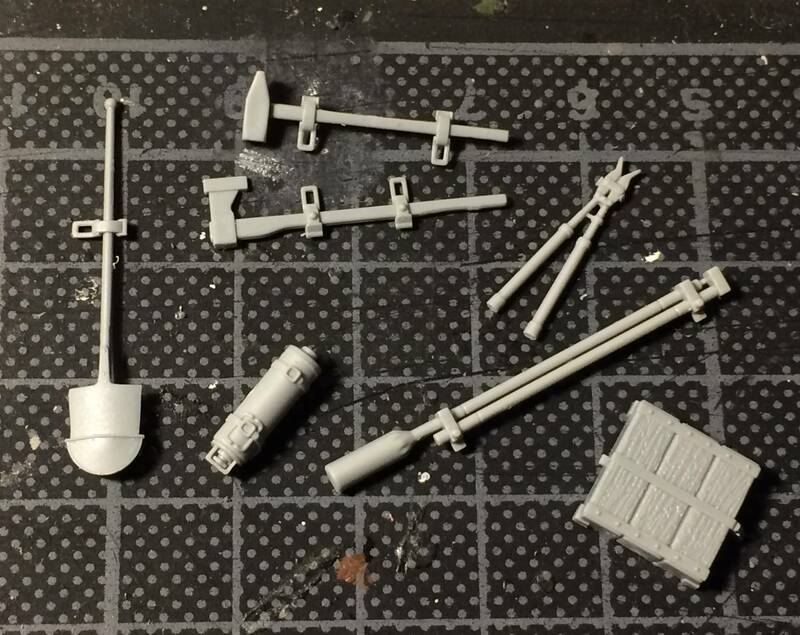 I really enjoy Trumpeter kits but the OVM tools are always lacking in details. 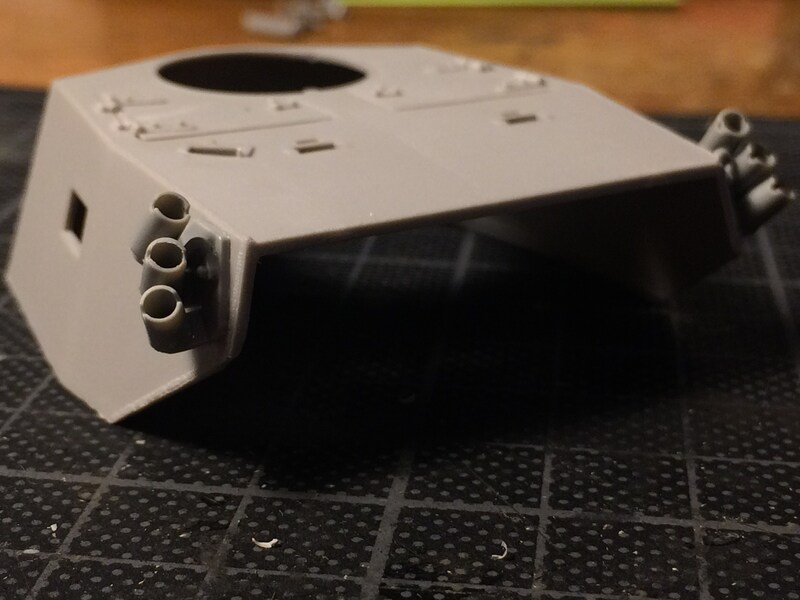 Made a start last night on the VK3001H turret… As this is a slightly paper-ish panzer, I decided to add turret-mounted smoke launchers (liberated from an excess Dragon Panzer iv sprue). 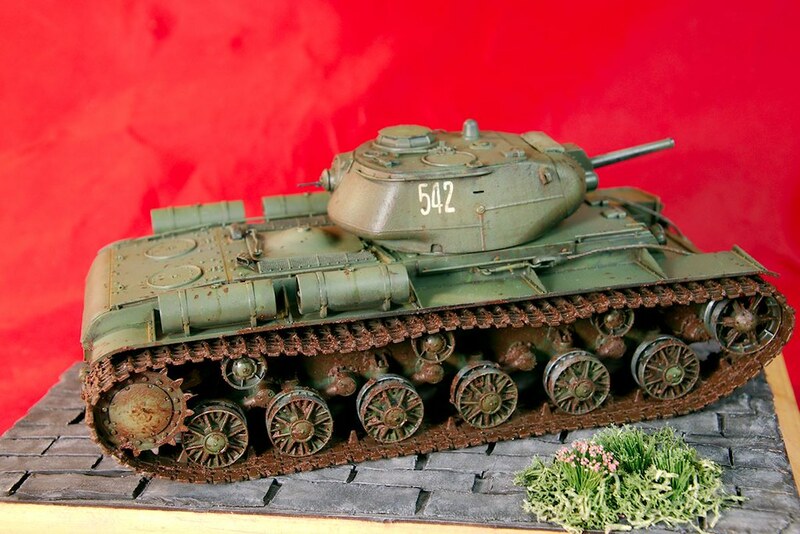 At least, this configuration would be contemporary with when the VK3001H was under development. 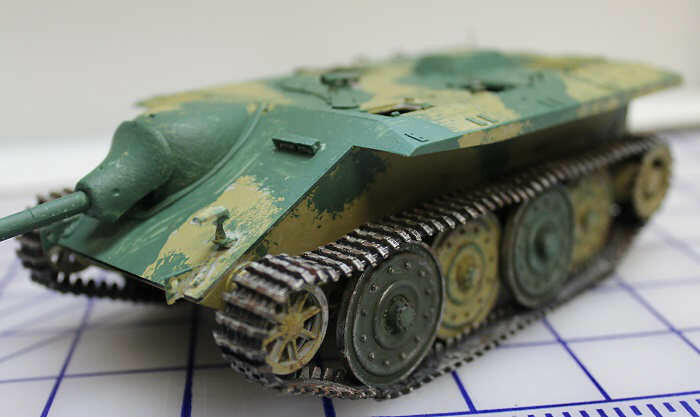 Finished the VK3001H tracks... a labour of love (and hate)... but now the heavy lifting is over, I can get on with the turret. 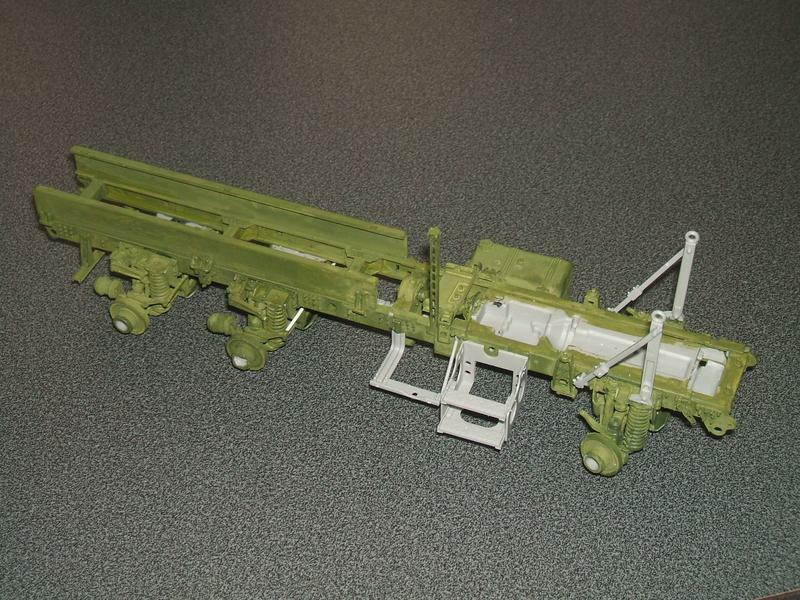 Shawn - nice work on the Stryker Vehicle thus far. I live and work about 15-20 minutes from one of the U.S. Army's Stryker Brigades and see them up close frequently. Your build look pretty accurate at this stage. With all those nooks and crannies it no wonder getting the color modulation you wanted. The paint work looks wonderful and clean. 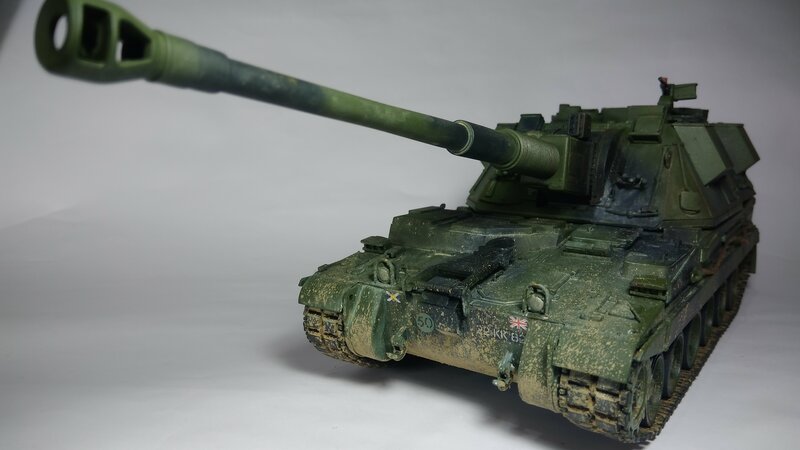 Hope you have an easier time with weathering. ...Nice models here and some already finished ! Next big weekend(orthodox Easter) I hope to find the right mood to finish them. Meanwhile-I'll continue lurking around enjoying the quality of builds participating! 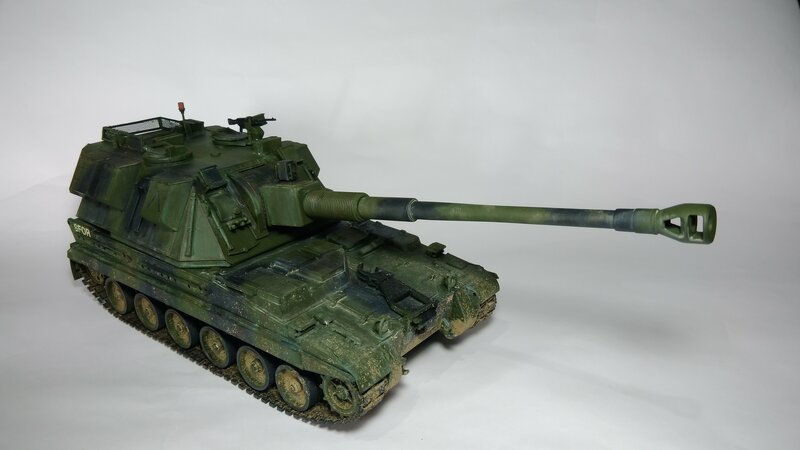 Nigel, that AS-90 looks solid, I wouldn't be upset over that build. Alex, I look forward to seeing that one finished, that conversion looks pretty interesting. 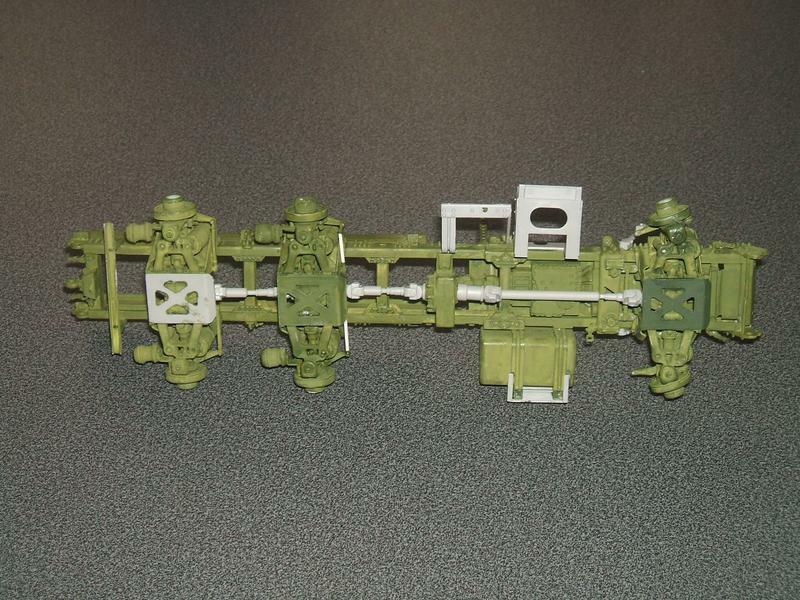 The surface detail on the Stryker has made it much more difficult to get the base coat down. 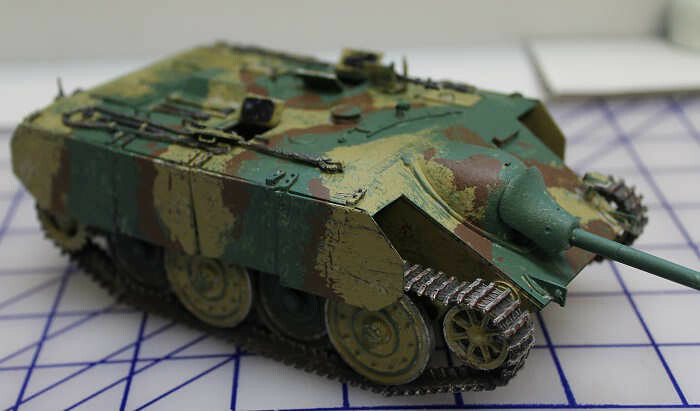 I am so used to the slab sided German AFV's that don't take as much effort to paint. I've finished the base coat and worked on some color modulation. Ill be starting to paint all of the stowage next. 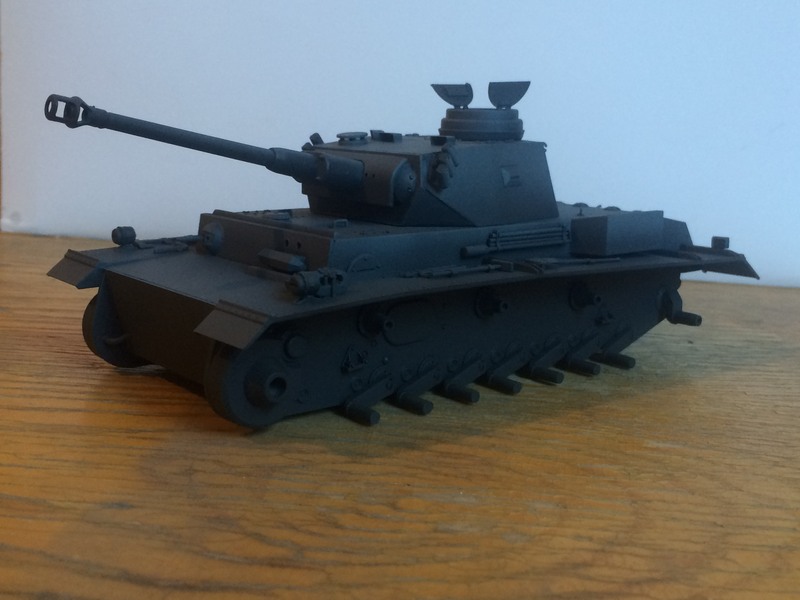 Nice models here and some already finished ! Hi Nigel, I think the build looks very nice. Ernest, magnificent work on your Wildcat, pilot, and carrier base. Stunning! Lapman, the E-50 is fantastic. Love that geometric camouflage paint schrme. 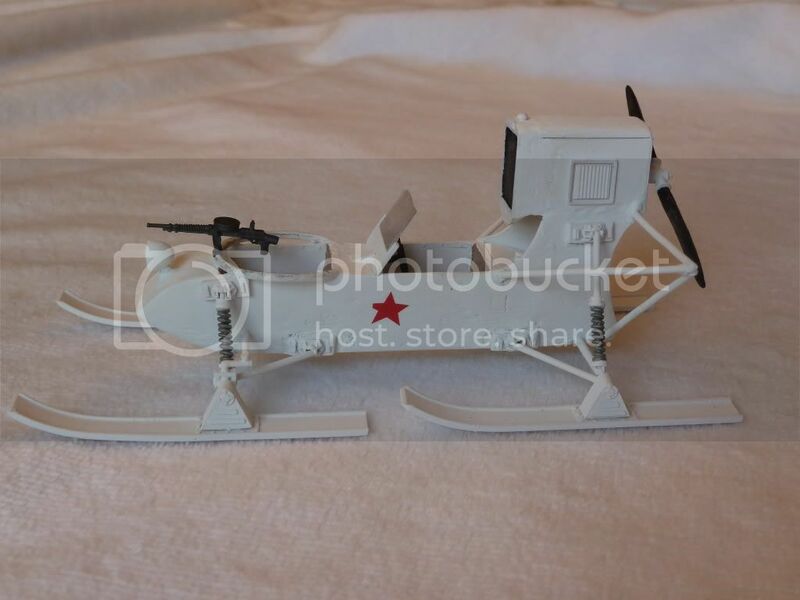 Shawn, your NBC Stryker looks great. 1st coat of paint must be difficult with all that surface detail? Keep up the good work. Matthew, Wow, got to love the realistic appearance of those metal tracks. Lots of tedious work....good job. Thank you John - and thank you for taking the time to host this campaign. 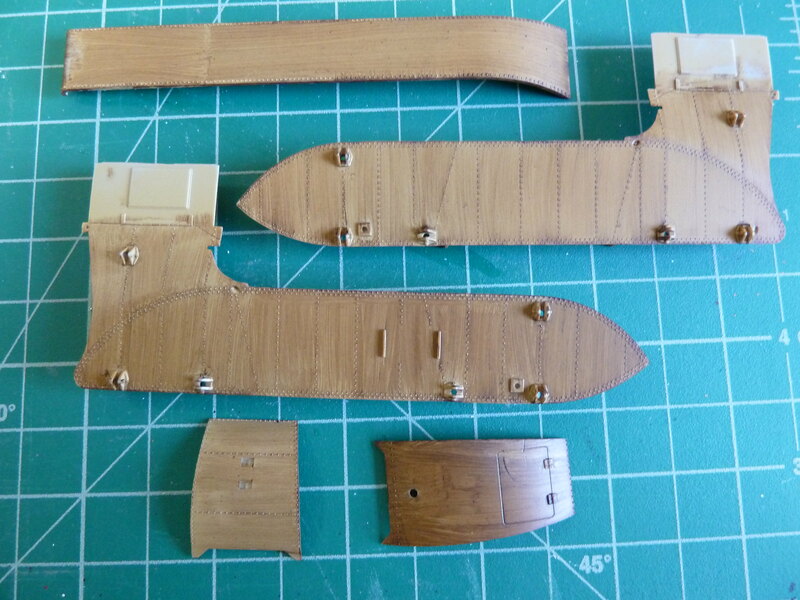 Very nice work on the E-50 Lapman. The color modulation looks very nice indeed. Thank you for your compliments on my build. Mark, Matt and Shawn - thank you very much for the nice words guys! Shawn, I am not sure any of the stuff I build would be competitive, but thank you again for your encouragement. Thank you Matthew! Your build is progressing nicely. 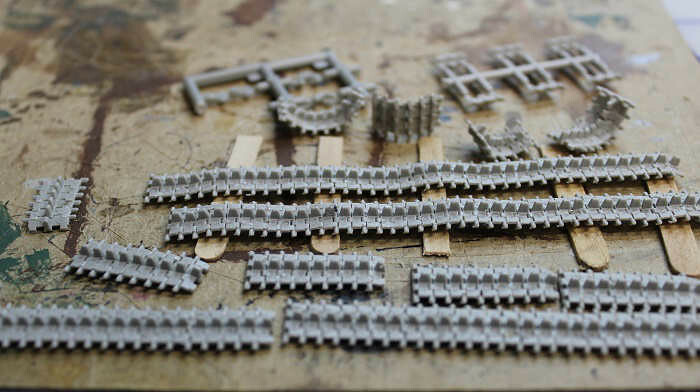 The tracks look great, but I would have to construct them in stages as it looks like a tedious job.